1 What is the Cervical Denneroll? 4 Who is the Cervical Denneroll Designed for? 5 Where can you buy the Cervical Denneroll? 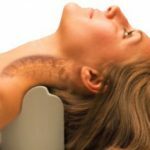 What is the Cervical Denneroll? The Cervical Denneroll is a small pillow-like semi-firm, orthopedic device that was originally engineered and developed by Doctor Adrian Dennewald while working at his offices in Sydney, Australia. It’s foam-based deceptively simple construction is designed to provide a gentle but effective stretch of a person’s spine to assist correcting abnormal cervical lordosis. The Cervical Denneroll can assist a person in relieving muscle pain and tension, enhance the patient’s comfort and also improve their health. It consists of a small block shaped with curves, angles, and ridges based on chiropractic biophysics (CBP) evidence-based studies. It is specifically constructed to aid in the relief of pain from cervical spine problems caused by injuries, aging, nerve disease and other similar afflictions. Whether the Cervical Denneroll is needed because of a fall, car accident, or simply poor posture, abnormal cervical lordosis can create nerve, ligament, and muscle problems. 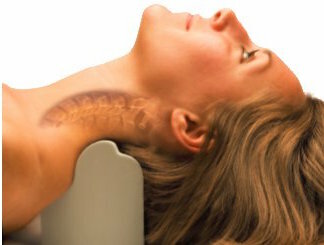 Numerous research studies have shown that these adverse effects can be reversed by use of the Cervical Denneroll by relieving pain, correcting cervical lordosis, and improving general health. The device is designed to create a stretch of the spine which can relieve muscle tension, improve movement, and assist in correcting poor spinal curves. It is quite portable and easy to carry and can be used in home, office or anywhere there’s a flat surface where a stretching session can take place. There are also Lumbar and Thoracic versions of the Denneroll. Doctor Dennewald developed the Cervical Denneroll in 2009 while working at his orthopaedic office. He and his partner, Kate Smith, then joined Dr. Deed Harrison of CBP Seminars in a partnership that produced several new spinal correction products. There are three specific areas of a patient’s neck that are considered appropriate for using the Cervical Denneroll. Chiropractic doctors are trained to be able to determine which device would be the most beneficial for an individual patient. Each device should only be used when placed on a firm surface such as a bench or floor. It’s important to be aware that the device should only be used under the supervision of a chiropractic doctor or spinal health professional. • Gray: For tall or flexible adults. Who is the Cervical Denneroll Designed for? – People with forward head posture, straight spine, etc. Where can you buy the Cervical Denneroll? At this time, the Denneroll products are only available from licensed doctors or chiropractors. Sometimes you will be lucky and find one on eBay. However, there are alternative neck orthotics available on the market if you don’t have immediate access to a Denneroll. The Cervical Denneroll is considered one of the easiest to use, most cost-effective home-based cervical extension orthotics available today. Patients using the device should be aware of the indications and contraindications for at home usage and should only use it under the supervision of a chiropractic doctor or spinal health professional. Hi, I am a back sleeper, I was wondering would Denneroll provide benefits if I used it instead of a normal pillow when sleeping or is it better to use it for a short period of time? Definitely short periods of time only.